Unless otherwise noted, all artifact images represented on this site are the property of the Houston Museum of Natural Science and are protected by U.S. Copyright Laws. These images are not to be downloaded or reproduced in any way. If you would like to purchase a copy of a specific image, please contact media@hmns.org. All rights reserved. 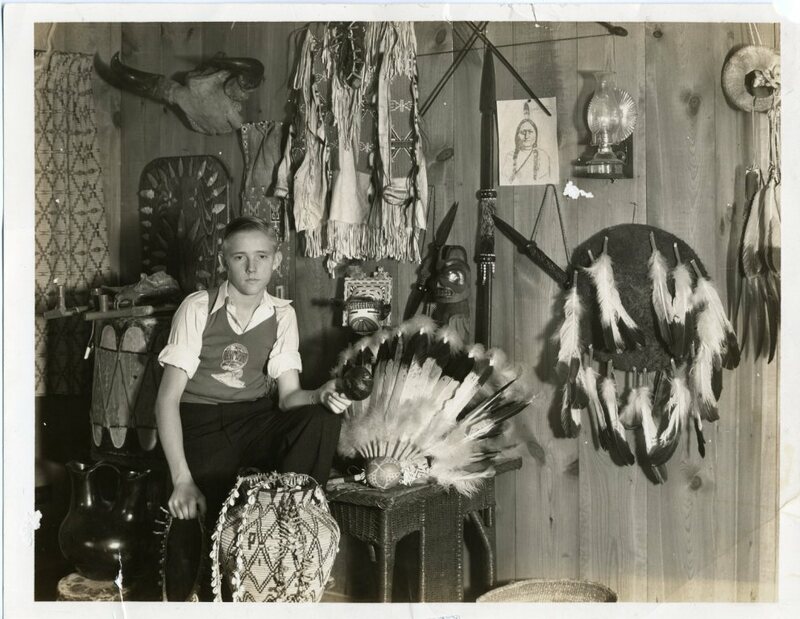 Gordon Smith collected the objects on exhibit as a young man between 1925 and 1939. He was enamored with Native American culture from the time he was five years old and collected his first piece from Blackfoot Chief, Two Guns White Calf. In 1934 he was even inducted into the Lakota tribe and given the name "High Bear." Gordon stopped collecting after his return from World War II, but he showcased his collection in his home, and Native American culture continued to play a large part in his life. At the time Gordon was collecting, many people around the nation were increasingly interested in Native American artifacts and culture. Most of the objects made during this period were crafted by individuals living on reservations with the intent to sell, but the creation processes still tried to keep with the traditional ways. Gordon Smith's collection contains examples of artifacts that were crafted during this transitional period of Native American history, some of which were hard to find even ten years after Gordon stopped collecting. These objects represent a sample of a vanishing form of Native American material culture.